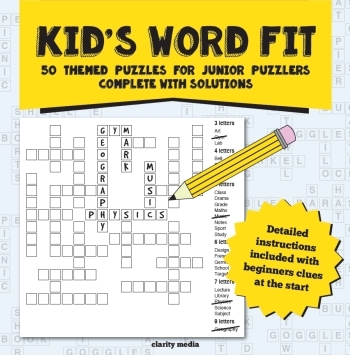 Welcome to this fantastic collection of Kid's Word Fit puzzles, guaranteed to keep you entertained for hours! Featured inside this book are full page puzzles with themed word lists. The aim is to place all words inside the grid ensuring that every word fits exactly in the letter tiles once all words are in place. 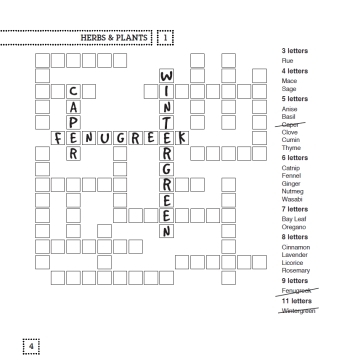 All puzzles have a special subject theme so you're sure to learn lots along the way. These word fit puzzles have been specially selected for their level of difficulty as we are sure that nothing will be too difficult to complete, but also tricky enough to put your puzzle solving skills to the test! To ease the solver in gently, some words have been placed on the first few puzzles. This will demonstrate how to best start these satisfying puzzles. Can you use the information given to place the remaining words? After this, no extra help is given so your skills are really put to the test! This book is printed on an 8.5 inch square page size, so there is plenty of room for working out. Paper quality is strong and sure to withold lots of rubbing out. We suggest using a pencil as it's likely that you may place a word and then find it doesn't actually fit there. This all adds to the satisfaction once complete!